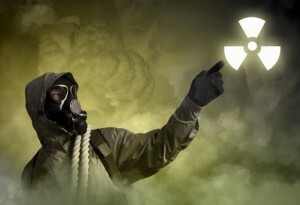 With the increase in nuclear reactor leaks (particularly at Fukushima in Japan), as well as the overwhelming presence of microwaves, ELF (Extremely Low Frequency) waves and HAARP in the atmosphere, not surprisingly people are becoming concerned about the dangers to their health. Actually, there are a number of radiation immunity and protection solutions already available. First, the use of orgone and radionics. Some people surround their homes in such devices but it can become impractical to carry enough of it on you when outside the home as the levels of radiation are higher than ever. Tenaga Dalam is an Indonesian magickal system of protection and invulnerability. 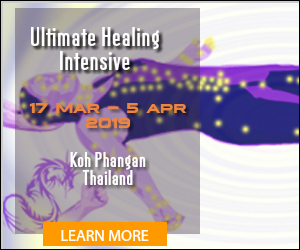 It builds up a very powerful energetic force field around the body, very much like a Chi Kung master, but it is something that can be passed on by attunement, a bit like reiki attunement, so one can gain the power and protection without years of practice. Initially, this was intended to protect against knife strikes and other physical dangers, but it has been found that it adapts according to one’s needs. The Chi force in the body is intelligent and adaptable. Lately, it has adapted to dealing with high levels of radiation. Around serious radiation leaks, those practicing Tenaga Dalam have suffered no ill effects at all. * Advanced levels of practice also bring in Khodams, which are a kind of guardian angel, whose presence has strong physical effects. This can increase one’s invulnerability to very high levels allowing you to be totally unfazed by dangerously high radiation. This is very good news to those who find themselves living in the path of high level communication beams such as ELF or microwave. * No scientific tests have been conducted, as this would require one to be bombarded with radiation, and any damage compared with non-attuned subject, who would suffer extreme damage and death. We only have the stories of tenaga dalam masters who have been exposed to radiation to go by. The next thing I can strongly recommend to protect yourself at home is to tachyonize the whole house. Before you go thinking you need technology to do that, let me explain something about the creation of tachyon. Initially, it was invented as a hypothetical particle that travels faster than light. Only after it was invented in theory did it begin to manifest in this plane. This is quite a common phenomenon with sub-atomic particle physics. The same happened with quarks which were initially created as a mathematical convenience. Modern science now sees reality in the same way as ancient mystics, that it is all created by consciousness. Studying sub-nuclear particles is basically observing the threshold on which this happens. So tachyons are created by the mind. Machines that are designed to tachyonize can’t work without the human element that creates them. There are Tachyon Attunements available to help you; the higher levels enabling you to tachyonize a whole house making it impervious to any harmful electromagnetic radiation. N.B. Tachyon may strengthen the body against damage by radiation, but there is no evidence that it would actually neutralize it. The latest thing I have been developing outclasses all other methods. What led me to it was learning of the discovery of a fungus growing inside the reactor at Chernobyl. This fungus was thriving on radiation and the medium it used to use radiation as food was melanin; something we all have in our bodies. So I did Shamanic journeying to talk with this fungus and also brought it back as an ally. This I followed by Sadhana (prayer) and fasting in order to integrate its special powers, the way I learned through Javanese sorcery. Out of this I have created a radiation immunity empowerment that can be passed on. The empowerment passes on intelligence/ information from the fungus, which enables the body to use its melanin to feed off radiation. As well as giving the ability to feed off radiation, enhancing your spiritual powers, it also increases immunity to disease. I have tested it out on a couple of friends who have reported amazing improvements. One had black helicopters coming over as soon as he got the empowerment. Some of you will know the ones I mean; when you are involved in high level spiritual work, someone comes over and blasts you with anti-tachyon to dull the energies back down. 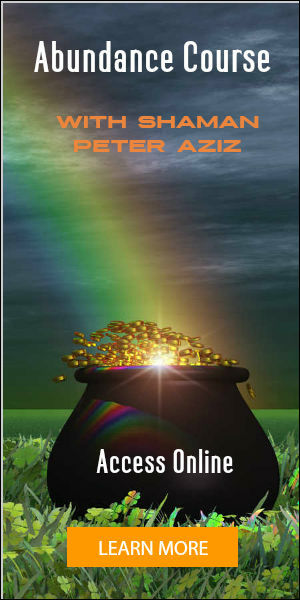 He actually found his higher spiritual powers developing more, the more he was being zapped. This means that anything thrown at you, whether mind control, anti-tachyon, microwaves, EMP (Electromagnetic Pulse) etc will all serve to feed your energy system and boost your spiritual growth. The most amazing spiritual gift, all from a fungus. Please Contact Me if you would like to know more about the various protective empowerments discussed in this article. Wow, thank you Peter for this article. I didn’t realise there are psychic techniques of protection. I hope I will be able to learn or get attunements from you. Any plans of coming to Eastern Europe? I may also add that it is very helpful to take clay called zeolite (clinoptilolite) which is very high rate absorbant which pulls heavy metals, radiation, viruses and other toxins out. Helps a lot with hangovers too! I discovered it while researching amalgam removals and detoxing after them. Anyways, I will end now. I havn’t any plans yet, but would be happy to travel if there is interest. In the meantime, all these empowerments can be done distantly.